Justin Keverne deep-dives Eidos Montreal’s Thief reboot to determine whether its systems and level design stand on their own to craft an immersive stealth experience. Though our stealth review of Thief covered the basics, we thought it pertinent to return to Eidos Montreal’s Thief reboot and examine precisely how this game fails to not only live up to the series, but to form a cohesive standalone stealth experience. 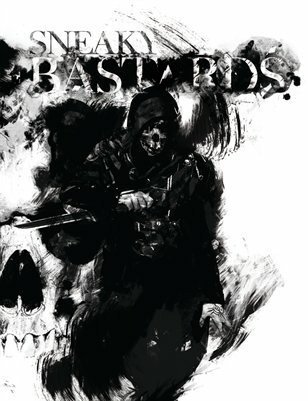 In a manner similar to his in-depth, level-by-level analysis of Arkane Studios’ Dishonored, as featured in Issue One of Sneaky Bastards: The Stealth Gaming Magazine, Justin Keverne picks the Thief reboot apart, blow-by-blow. We have divided Justin’s work into discreet parts: an analysis of Thief’s stealth systems; an introduction to its environmental design; chapter-by-chapter level design breakdowns; a look at the design of The City hub; and a final conclusion. Whilst the systems analysis has been available for some time, starting today, we will be releasing one new article every three days – which will fill out the entire month of July. Ladies and gentlemen, it’s Thief month here at Sneaky Bastards. We hope you enjoy our work. Return to this page every three days to find links to each new piece of analysis that is made available. Those in colour are live. Additionally, we will be trumpeting our writing from our Twitter and Facebook pages.